There exist a stereotype that healthy eating can be hardly delicious but is always a time-consuming affair. Nothing of the kind! To cook a healthy dish can be as quick as counting 1, 2, 3 and you will even not need extra exotic ingredients – you can find plenty of useful options among traditional products. Nowadays the ability to save time is extremely important and having tried this approach to cooking you will keep the peace of mind easier. Have a look at our list of variants for healthy breakfast ideas and choose some to your taste! An egg is a versatile product that can make your day. It is one of the best breakfast ideas, as you don’t even need to bother with cooking every morning: a hard-boiled egg is portable and has a long shelf-life. Eating it in the morning will help you increase the feeling of fullness. Eggs also lower calorie intake during the dinner. In them, you will find substantial quantities of choline to keep your liver and brain healthy. Due to antioxidants (zeaxanthin and lutein), egg yolks save your eyes from serious disorders, like cataracts. Well, it is rightly chosen one of the best healthy breakfast ideas. High in proteins (one cup of cottage cheese contains 25 grams of proteins), just as eggs, this product is one more idea for good breakfast: it gives the feeling of fullness and reduces ghrelin level (hormone provoking hunger). For weight loss, take full-fat cottage cheese. If you need a substantial breakfast, mix cottage cheese with different berries, nuts or flaxseeds which is one of the most versatile healthy breakfast ideas. It is a simple product that can help you begin your day. Add different berries, fruits, and nuts to diversify tastes and make it still healthier due to additional minerals and vitamins. It is nothing but a creamy substance that is nourishing and delicious. The difference between this type of yogurt and an ordinary one is that it is much creamier and richer in protein that helps to reduce hanger and increase metabolic effect (also known as “thermic effect”) taking place after eating. Have a good breakfast to start losing weight from the morning! As one of the best dairy products, it is helpful if a person wants to keep his or her weight under control as consumption of such foods leads to increase of hormones giving fullness. 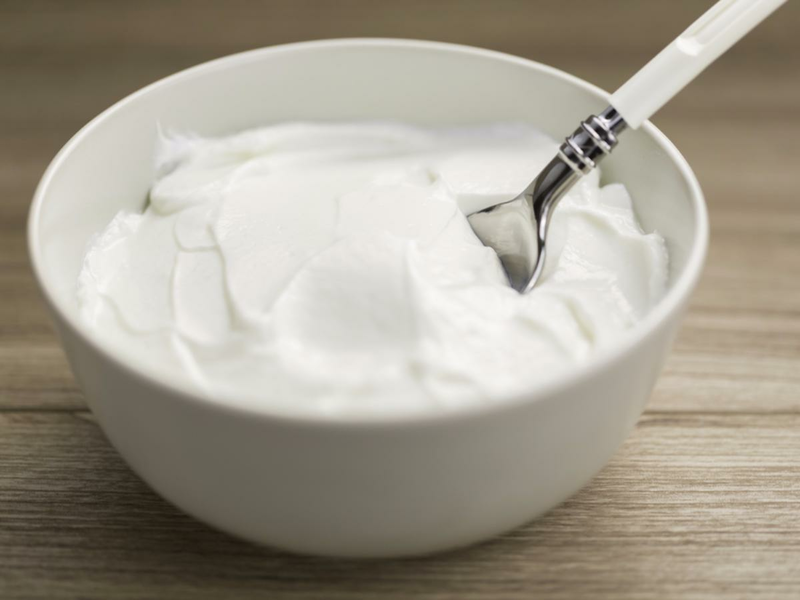 Full-fat version of yogurt includes conjugated linoleic acid provoking fat loss. Another valuable effect of this component is that it reduces the risk of cancer. The certain type of yogurt is rich in probiotics making it perfect to keep your intestine healthy. Just make sure your probiotics are live (then the label will contain the word combination “live and active cultures”). This beverage is a part of the best breakfast. Caffeine is one of the most efficient pills improving mood and mental performance – even a little cup of coffee will give a visible effect. This “magic substance” boosts metabolic rate and helps to burn fats faster. The source of antioxidants, it leads to inflammation reduction. 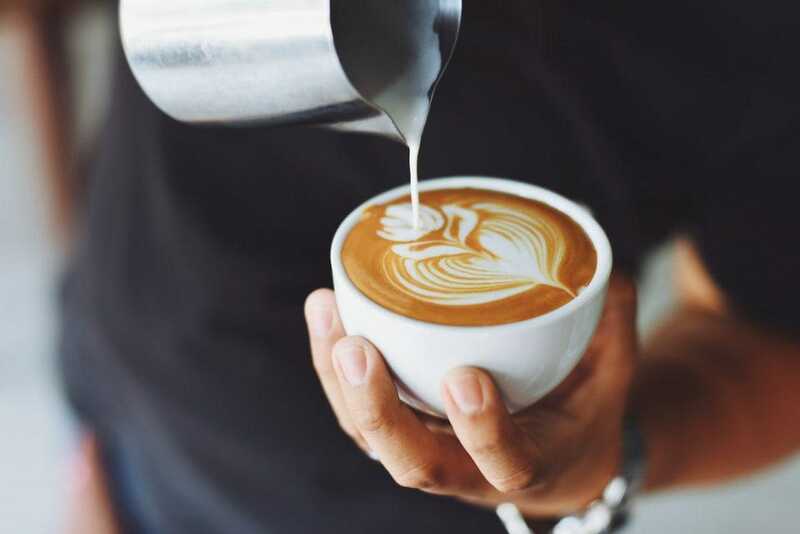 Anyway, to make coffee contribute to your physical state and to exclude any side effects, you need to maintain the golden middle which lies within the limits of 38 and 400 mg of beverage per day. If count it more precisely, it is between 0,3 and 4 cups per day. It is one of the great healthy breakfast ideas, but do not make a coffee break your favorite pill against exhaustion! You can always find some way out. It is better to redirect some part of your regular academic tasks including essays, letters, researches, and term papers to some term paper service than to endanger your health. This is one of the best healthy breakfast ideas for the strictest adherents of a healthy lifestyle. By its effect, it resembles coffee. Green tea contains caffeine helping you to boost your metabolic rate and mood, providing with EGCG (antioxidant) which guards your heart, nervous system, and brain. What’s more, green tea reduces the level of sugar and insulin. Are you one of the cereal lovers? Then you will be happy to learn that oatmeal is the best decision when talking about good breakfast because it includes beta-glucan, which is unique fiber helping to cope with cholesterol reduction. And, of course, it gives you the feeling of fullness. Oatmeal contains antioxidants guarding your blood pressure and heart health. 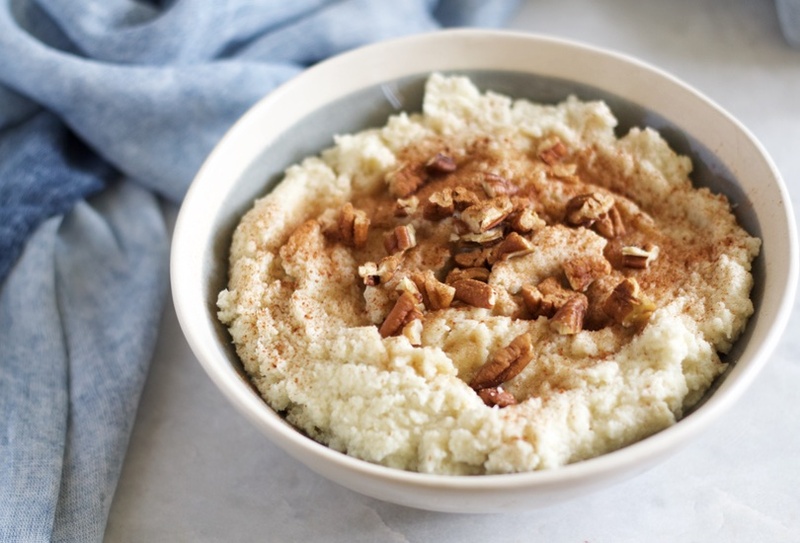 If you are eager to have a meal high in proteins, steel-cut oats suit best (in comparison with cooked oatmeal, here protein amount is twice as big). But you can enrich your oatmeal healthy eating with proteins if you add some milk or piece of cheese. Are you pressed for time but still not ready to compromise quality meals? For you, the best breakfast is protein powder – this is nutritious and healthy eating. You can come across a great number of its types (including include soy, whey, and egg). You can diversify them including seeds, fruit, nut butter, or greens, to make the beverage rich in antioxidants and fiber. This is the most effective form of protein when it comes to the reduction of appetite. Diversity of fruit offer plenty of variants allowing to make your breakfast balanced and delicious when combined with Greek yogurt, cheese, eggs, and cottage cheese. What makes fruit one of the best breakfast ideas? They are rich in vitamins, fiber, potassium, and give the feeling of fullness. One large orange is enough to enrich your organism with a daily intake of vitamin C.
Multicolored tasty addition to cottage cheese or Greek yogurt, berries are rich in antioxidants. With just 50-85 calories in a cup, they are even better than fruits (less sugar, more fiber) for those who take care of their body. Include berries in your healthy eating to protect heart and reduce aging effect due to antioxidants. For better result, alternate fruit and berries. Tasty and nutritious addition, they serve the best topping for cottage cheese, oatmeal, and Greek yogurt making your balanced dish crunchy and flavored. It is quite a tricky product which is known for high calories, but very few know that not all of those calories are absorbed by our body that makes this product the best breakfast addition. Nuts are rich in magnesium and monounsaturated fat which prevents heart disease. Pudding made of chia seeds is extremely popular morning breakfast for a reason. This product is extremely rich in fiber, viscous fiber to be more precise (28 grams of chia seeds contains 11 grams of fiber). It absorbs water and increases the volume of consumed food in stomach. It gives the feeling of fullness. This is one more great source of antioxidants protecting cells from damage caused by free radicals in course of metabolism. This list of easy-to-cook breakfast ideas is not complete, but these products can become the basis of your healthy daily ration. Crystal Roman, the author of this article, is a young talented writer who is keen on journeys and healthy lifestyle. Presently, Crystal is eagerly sharing her knowledge and skills with students from all over the world offering her assistance on the platform of EduBirdie.